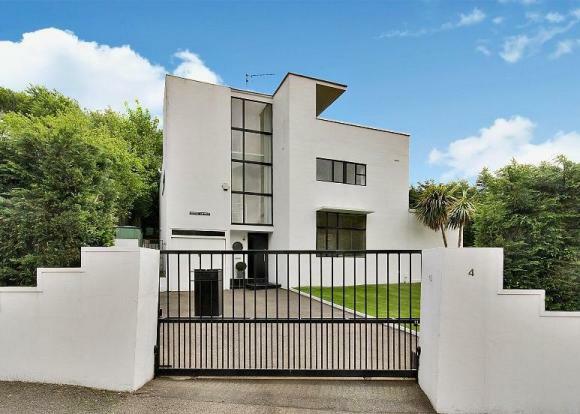 It’s a town that’s (perhaps accidentally) synonymous with modernism, with the likes of High and Over and The Third Sunhouse hitting the market in the last couple of years. 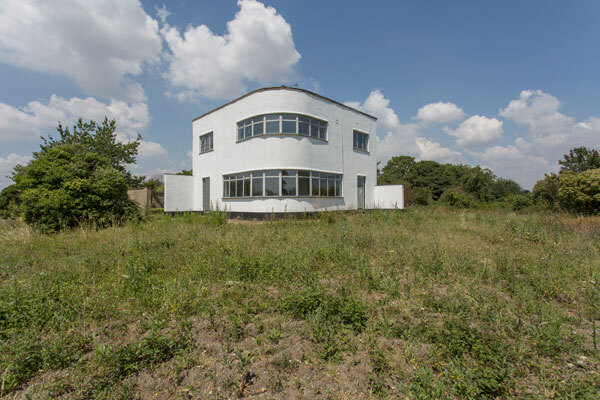 Now you can live in another modernist gem in the area, The First Sun House in Amersham, Buckinghamshire. 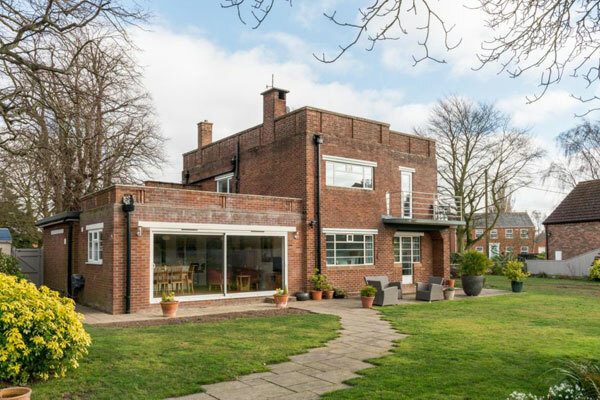 It’s a stunning property, now grade II-listed and designed by the modernist-loving architectural partnership of Connell & Ward, as well as being heavily inspired by Le Corbusier. 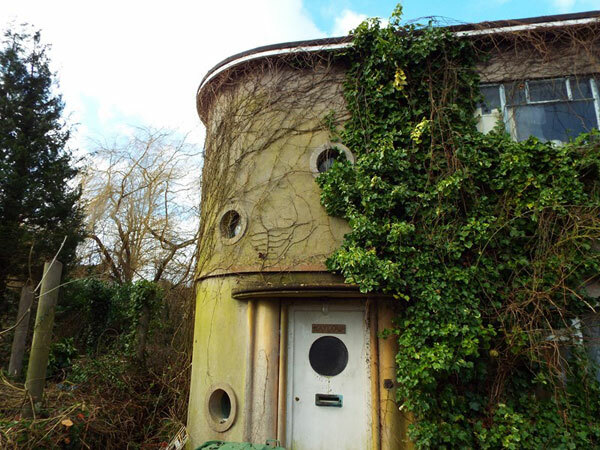 It’s one of five Sun Houses built on the slopes leading up to the previously-mentioned High and Over House, said to be the first modernist properties built in Britain. 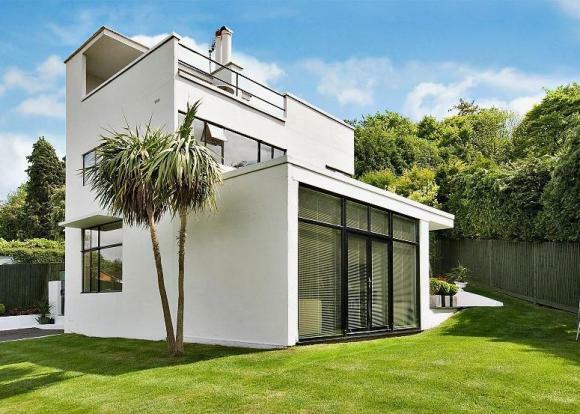 The First Sun House (confusingly labelled number 4) has been modernised inside over its three levels, ‘in keeping with is original minimalist design but to suit a contemporary lifestyle’, says the agent. The ground floor has the entrance hall, a cloak/shower room, large open plan reception with sitting and dining area and raised family room, a kitchen/breakfast room and a utility room. On the first floor is a master bedroom with dressing area and en-suite shower room, three further bedrooms and a family bathroom, with the second floor offering a study/store room and terrace. Of course, that only tells half the tale, those windows at the hall flood the house with light, while the finishes are seriously high-end. Outside there’s also an integral garage and driveway parking behind an electrically operated entrance gate. 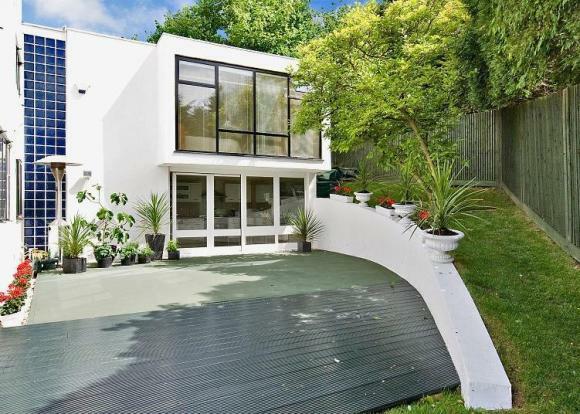 The garden has a large southerly facing terrace with areas of lawn. 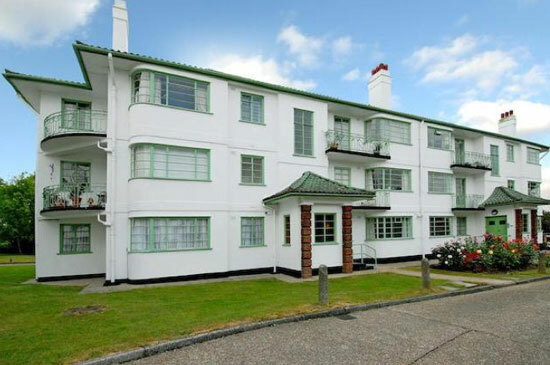 It wouldn’t be cheap if it was up for sale – and it’s certainly not cheap to rent. 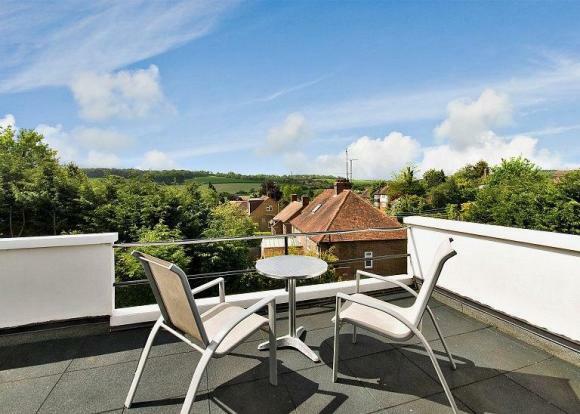 You’ll need to give the agent £3,000 per calendar month.